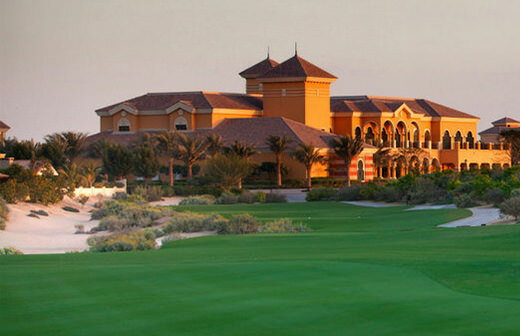 If you have an appetite for a first-class golfing experience combined with 5-star service and notable prestige from Dubai’s finest golfing destination, The Els Club is for you. Those who appreciate life’s finest pleasures will embrace this true sporting gem which has been sensationally designed by US Open and the Open Championship winner Ernie Els. 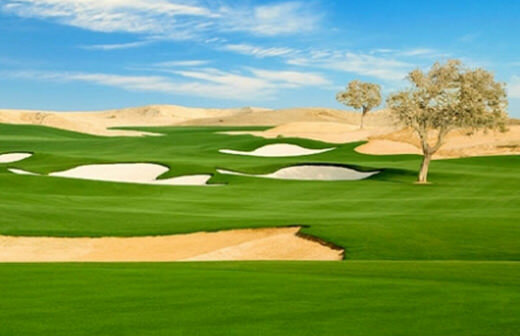 Ernie Els has a passion for the great links courses of the UK, where he has won two of his 4 major championships, and in creating the Els Club Dubai he set about recreating some of these design features in a desert landscape. Thus a ‘desert links’ was born, one that was quickly named ‘best new international course’ by the prestigious US magazine, Links. Stretching 7,538 yards with four sets of tees, allowing players a selection of differing lengths from which to play, The Els Club sets new benchmarks for golf in Dubai. 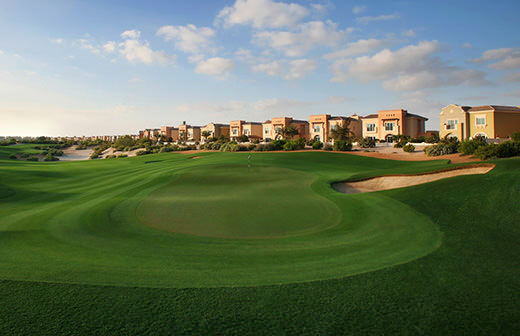 The course offers players a challenging round, accompanied by all the essential facilities that extend beyond the immaculate fairways and greens. 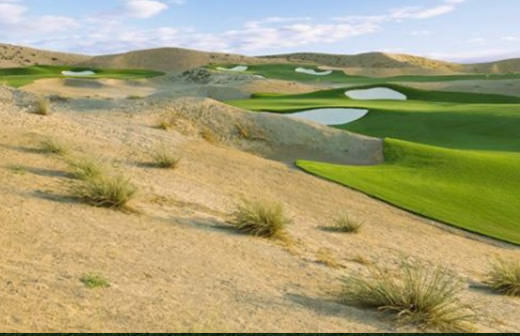 The course features pleasing undulations and strong elevation changes for visual and strategic interest. Extensive use of sandy waste areas and of native grasses and vegetation between wide fairways, along with a classic style of bunkering, add to the links effect. The perfectly manicured playing surfaces can be enjoyed 365 days of the year. The holes all constitute characteristics from Els’ favourite courses around the world; bunkers from Royal Melbourne, greens resembling Pinehurst No. 2 and wide, rolling links fairways. Combine this with strategically placed tee-boxes, strong course management, soft sand, hard sand and carefully-developed undulation, and you are presented with a true masterpiece in golf course design.Winning accolades in 2008 as the ‘Best New International Course’ by Links Golf Magazine and ‘Best New Facility of the Year’ by Troon Golf in the same year, with ‘Best Golf Course in Dubai’ by CNBC Arabian Property Awards in 2009, the Els Club has proven its charm to the golfing enthusiasts, and promotes Dubai as the leading golf destination of the world. 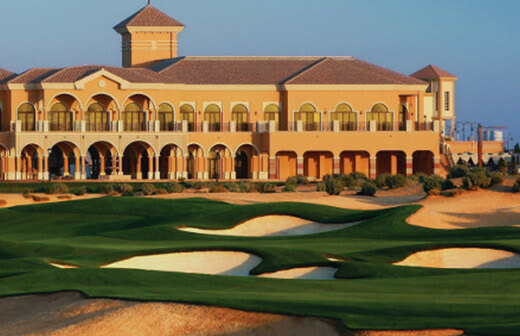 At 60,000 sq ft and with no expense spared, this Mediterranean masterpiece is the perfect complement to the high standards already set by one of the most acclaimed courses in the region. The clubhouse exudes elegance, warmth and hospitality from the moment you arrive at Bag Drop. Featuring world-class amenities, including two restaurants, a members lounge, corporate & conferencing facilities, stunning male and female locker rooms complete with personal attendants Jacuzzis, steam rooms and saunas, the Els Clubhouse is the perfect venue to unwind after golf, dine with the family, corporate away days or simply for drinks as the desert sun sinks behind the dunes. The Pro-shop has recently received global recognition for excellence with its pro-shop being named by the prestigious Association of Golf Merchandisers (AGM) as one of the top 100 outlets in the world for 2014 and is the only venue outside of North America to receive this prestigious award. The Platinum Award recognizes excellence in goods and services within the pro-shop and reflects the multitude of services available at The Els Club. 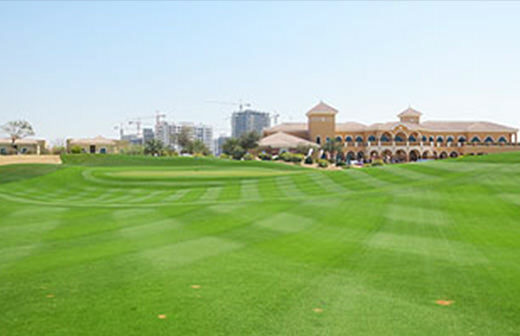 Use of the practice area is complimentary with your green fee 45 minutes prior to your tee-time, however, should you wish to come and practice at any other time, there is a daily charge of 100AED for unlimited balls, payable at reception. 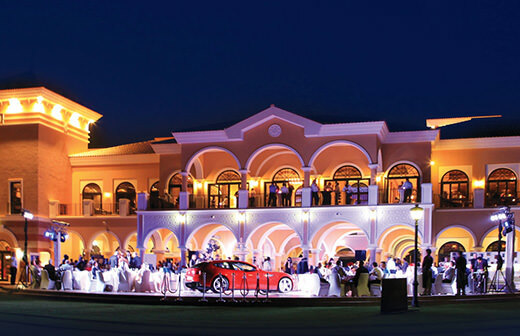 The Els Club offers expansive event and function spaces with abundant natural light and magnificant views. The Els Club boasts some of the best practice facilities in the region, complete with fully lit driving range, open until 9.30pm, a magnificent short game area, with 2 different pitching greens, 3 bunkers and numerous angles from which to sharpen your game and 2 putting greens. We use only the finest Taylor Made practice balls, ensuring that your session delivers the most accurate and best results. The range is available from 06.30am until 9.30pm. 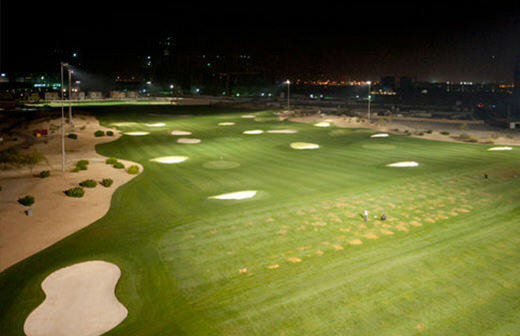 At night, the range is lit from underneath, allowing you to accurately follow the flight of your ball from impact to landing, ensuring you obtain the maximum usage from your practice session. Bar & Restaurant 261 (named after Ernie’s PGA Tour record-breaking 72-hole aggregate in the 2003 Mercedes Championship) is the perfect place to unwind after a round of golf or to watch the sunset over this spectacular Ernie Els-designed signature golf course. With plenty of indoor seating and a shaded outdoor area, this really is the perfect place to watch the world go by. It has become a favourite hangout spot for the residents of the nearby Victory Heights Villa community and features a wide selection of beers from the tap and an exclusive selection of Ernie Els Wines. The cuisine at 261 varies from the popular pre-round Egg & Bacon Roll, to a wide selection of sandwiches, pastas and burgers for lunch. The menu also features popular British dishes like the Steak & Guinness Pie and Fish & Chips. 261 also offers various theme nights and promotions throughout the year as well as providing numerous televisions to watch sporting and momentous occasions. The dining experiences at the Els Club Dubai reflect Ernie’s own eclectic tastes and his appreciation of the life enhancing benefits of wonderful food, great company and amazing beverages in a sociable, easy-going environment. The Big Easy encapsulates all of those qualities. It is the second such restaurant to open, the first is in the heart of South African wine country in the historic town of Stellenbosch, and places the utmost importance on serving classic steakhouse food and top wines from the Ernie Els portfolio, all in a relaxed setting overlooking the golf course. 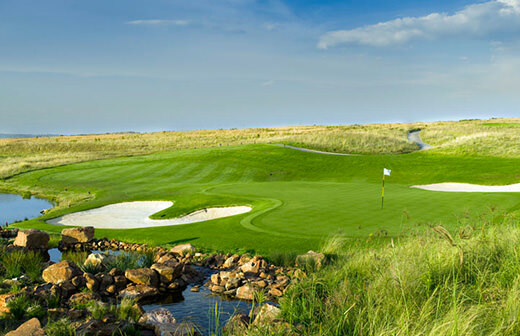 The Big Easy is an unpretentious bar & grill hailing from the stunning Western Cape region of South Africa – inspired by the lifestyle and spirit of Ernie Els. If one could describe Big Easy, it would be the Afrikaans word of “Gesellig” – sociable with friends, amicable, convivial and cordial. Fun & relaxed, it is, at the same time, the place to dine with friends and family, a place to take your loved ones as well as a place to host a corporate dinner.It is a culinary experience inspired by the crossroads of South Africa’s fresh off the grill comfort food, combined with spices, herbs and ingredients from the melting pot of the world. The Big Easy Bar & Grill is open for dinner Monday – Saturday from 6.00pm – 10.00pm, as well as hosting a Friday Brunch and special occasions. There are private VIP tables able to be reserved also.The dress code is smart casual and children are more than welcome. 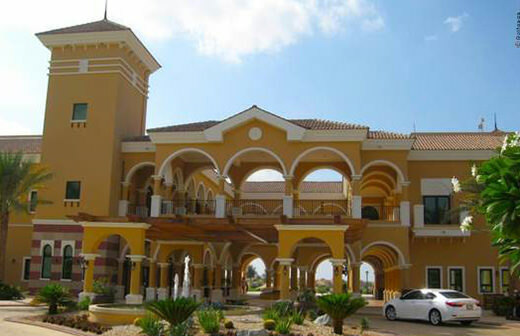 Excellent Golf course with superb services. Place is very quite and cozy, I guess because a little far compare to other courses in area. Nice restaurants with good food and services. They have different training packages also for ladies and gents. The course looks easier but you will regret when u're on the green, which is a photo chip or turtle shell. We played the blue tee with 6829 yard, very challenging course but fun and nice! Good food, great service, excellent views. Highly recommend. Keep up the good work and we will keep coming back!